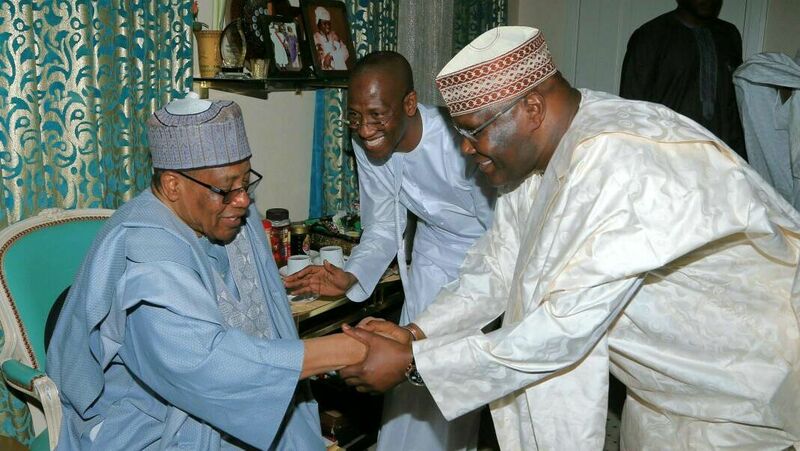 A former Head of State, Ibrahim Babangida, and a former Vice President Atiku Abubakar have met in Minna, the Niger State capital, Tuesday. Paul Ibe, Mr. Abubakar’s spokesman, said his principal paid a courtesy call on Mr. Babangida to check on his health. Mr. Babangida returned to Nigeria penultimate Sunday after seven weeks on medical vacation in Switzerland. Mr. Abubakar had to pay him a visit to check on him and see how his recovery had been, Mr. Ibeh said. Mr. Kure was a former governor of Niger State who died on January 8 at 60. Mr. Ibe said Nigerians should not read any further meanings to the courtesy call.